Everyone's eyes are opening and their hearing also. They are responding very well to my voice now and when I lean into the box and say "my babies", they all come over to me and crawl in my arms. It's the cutest thing! Personalities are starting to become more apparent. Descriptions will be coming soon! 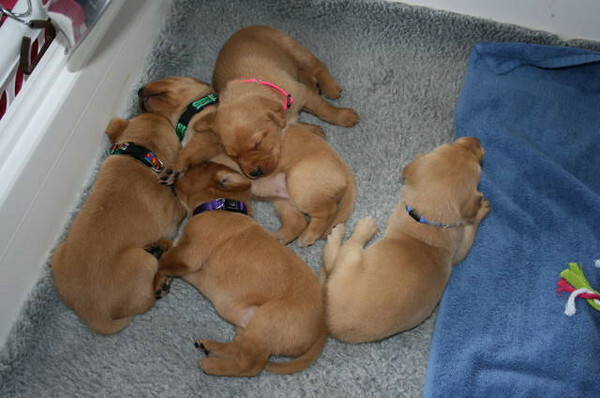 Collars are now on the puppies! Blue Collar Boy/Pink Collar Girl (Hip)/Green Collar Girl (Shoulder)/Multi Color Collar Girl (Back)/Purple Collar Girl (No Mark).